I often pick up ideas from seemingly random comments on Twitter. I turn them over in my head. They coalesce, curl into a little ball. I uncurl them again later, and see if I can write about them. Many ideas can develop that way, if you give them the chance. 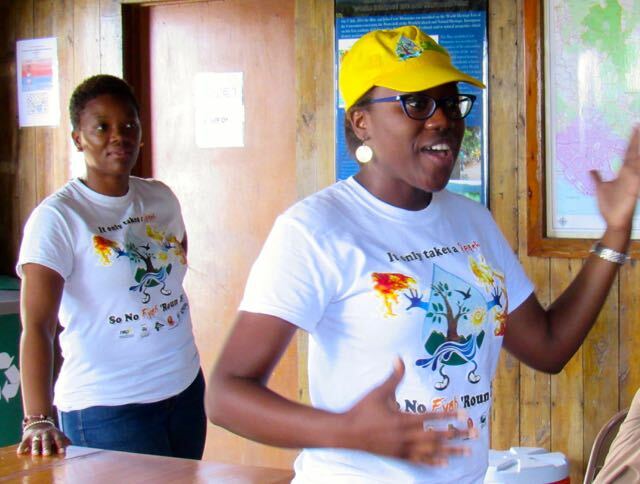 So, a tweet from environmentalist Diana McCaulay recently struck a chord. Prime Minister Andrew Holness had posted a short video, in which he urged Jamaicans to take care on the roads. “Slow down!” he intoned. Ms. McCaulay promptly responded with the suggestion that, actually, “urging” people not to do something doesn’t work too well. In the case of the mayhem on the roads, enforcing the law would be most effective. 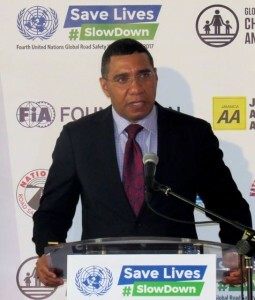 In many other cases, too, where Jamaicans are beseeched to “do the right thing” of their own free will, some stringent application of the law would work wonders. For example, the National Environment and Planning Agency (NEPA) is currently conducting a campaign to stop the burning. I hope people are listening, as this is so important (as is slowing down on the roads, and many other responsible things). However sincere the persuaders are, though – I have a feeling that some people will only stop setting light to things if they happen to burn their own houses down in the process. Then they will understand. However, if you learn the hard way it could be too late. And hey, there are environmental laws prohibiting open burning. But, guess what? They are not enforced. Do the exhortations “Stop!” and “Don’t!” actually work, though? Perhaps, on a few enlightened ones. Those who are “woke,” as the saying goes. Which leads me to this concept of “discipline.” This is a word that Jamaicans commonly use with respect to children; we have Deans of Discipline in our schools. But grownups driving cars around are a different kettle of fish. An admonishment such as: “You must be more disciplined on the road!” just isn’t going to cut it. The average grownup will shrug, and continue on his merry way, whether disciplined or badly behaved. The only thing that will stop him is if a policeman catches him, hauls him up in court and gives him a hefty fine. Not only him/her, but also all the other rampant motorists and bikers. 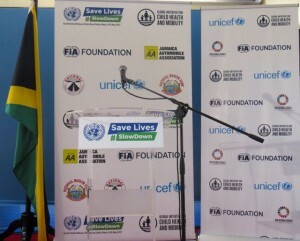 About a year ago, I attended a high-profile event at the Office of the Prime Minister on road safety. There were several eloquent spokespersons there, including the PM himself. 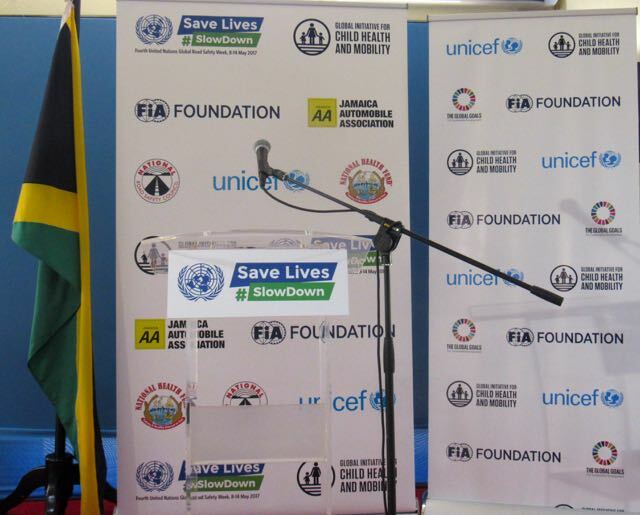 The hashtag was – yes, you have guessed it: #SlowDown. One year later, people don’t seem to be doing it. Why not? Advertising professionals know all about the different levels, the subtleties of persuading the general public to buy this or that product. Perhaps that is easier than the “moral suasion” that the Prime Minister has to resort to. Somehow, a carefully crafted television ad about a hideous soft drink can tug at the heart strings, or make one laugh. An ad can even fill one with outrage and sadness – especially if it is on behalf of hungry children in the Philippines, who never blink when they look in the camera; or puppies with bandages on their feet. “I wouldn’t know,” I say, thumb held firmly on the mute button. I am not open to being persuaded. The thing is, with “moral suasion” – you can take it or leave it. Most people just leave it. They need to be given that extra incentive to take it. It’s no wonder we have “behaviour change specialists” in various organisations and government agencies, these days. It’s a tough one.